Rudraksha beads are famous for spiritual benefits as those are believed to be associated with Lord Shiva. That’s why, rudraksha contains the power and strength of Lord Shiva. To make people heartier and healthier, rudraksha plays an important role. 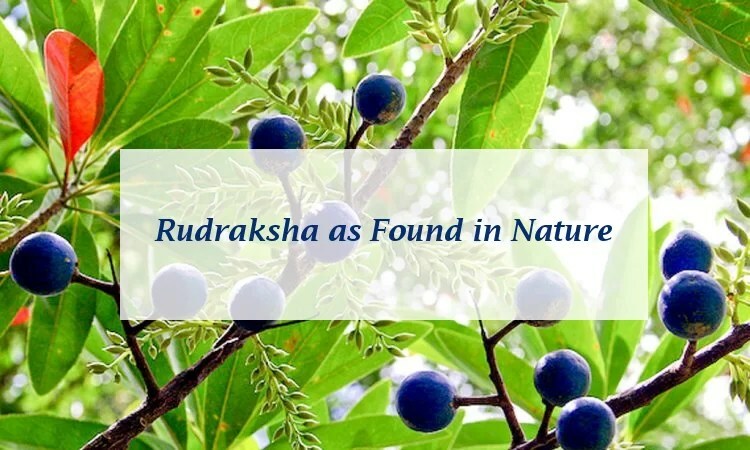 The scientific name of rudraksha is Elaeocarpus. This is a large evergreen tree whose trunk is cylindrical. The color of the bark is greyish white and it is rough in texture. The branches are widespread and takes a pyramid shape. As the tree is evergreen, the leaves are lush green at the above and the lower leaves are dull coriaceous. Next comes the flowers of rudraksha tree. They are conical, ovoid, and quite long, around 1 to 2 cm. rudraksha flowers usually appear in April-May. Finally, appears the rudraksha fruit. It is quite striking that the color of the fruits are blue like the throat of Lord Shiva. 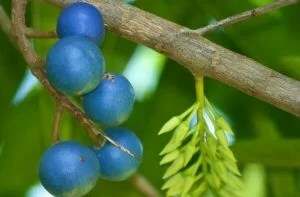 When the entire tree is filled with indigo blue fruits, it looks spectacular. The blue color isn’t from pigment, rather it is structural. 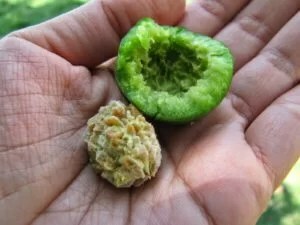 Usually, rudraksha tree grows faster and within three to four years, the tree starts to bear fruits. Rudraksha tree grows naturally as farming is quite difficult. The germination takes 1-2 years and that also depends on the humidity of the soil and other factors of climate. The subtropical region is the best ground for growing rudraksha. Countries, like Indonesia, Nepal, Sri Lanka, India, Myanmar, etc. are the growing ground of rudraksha. The environment plays a huge role in making the beads bigger and better. That’s why the Nepalese beads are stronger, bigger and better than the Indonesian counterparts. Though if you wear rudraksha for better health and life, you can get equal result from all types of rudraksha. From spiritual to medicinal purpose, rudraksha has been used from ancient time and even today, its popularity hasn’t been decreased a bit.